Community Circle is a gathering of returnees who have been released from prison and other community members who meet to support each other in practicing Mindfulness meditation and Nonviolent Communication. 710 South 13th St, Tacoma, WA 98405. St. Leo’s is located between South Yakima Ave and South Altheimer Street/South G St.
4731 15th Ave NE, in the University District of Seattle. If you need assistance with entrance into the meeting space, transportation, or other concerns please call our office cell 206-325-5678. Curious about how Freedom Project volunteers share the essentials of Nonviolent Communications in prison classrooms? Join us and learn about NVC as a tool for internal freedom. With this tool, we can learn to listen, speak and act from our core values instead of just reacting to what happens to us. We can take care of ourselves when strong emotions arise in us. We can become aware of what is going on inside us, and then speak and listen in a heart-centered way, so everyone’s needs can be met. Freedom Project is committed to addressing Institutional Racism and other forms of oppression. The Racial Equity & Social Justice (RESJ) Circle is a core work group of volunteers that helps to move the organization towards this anti-oppression orientation. As part of this objective, Freedom Project will be organizing a project in the University District with a series of workshops that are designed to provide opportunities for collective learning and civic engagement. The workshops are focused on educating through film screenings, having discourses about race, racism and racial healing, and engaging community members in facilitating recommendations for organizational change. As the White racial frame has the power and privilege (backed by centuries of institutions, politics, culture) to center the American narrative on itself, it sets the standard by which all other cultures and people are valued. This creates the conditions for “internalized racial oppression,” which is when people of color, affected by this “normal,” accept the racial hierarchy of White superiority and replicate, whether consciously or unconsciously, the racist attitudes/practices that oppress themselves and other communities of color. In moving towards a world free of racial oppression, it is crucial to address these deep wounds. Freedom Project seeks to address this inequity by continuing to grow in its allyship so as to better carry out its mission of reconciling people and communities impacted by violence. Freedom Project is honored to have Toi Sing Woo and Regent Brown co-facilitate this workshop which aims to raise awareness and explore racial healing. After learning the essentials of Nonviolent Communication in an introductory day-long workshop, volunteers may be invited to join the NVC Apprenticeship program. During this program, volunteers have multiple opportunities to practice NVC both in community-based workshops and inside prison.NVC Apprenticeship workshops are structured much like those held in the prison, so volunteers experience mindfulness exercises, intention-setting, gratitude practice, typical ice-breakers, role plays, and working with puppets. The apprentices receive one-on-one coaching from an NVC trainer certified by the Center for Nonviolent Communication. 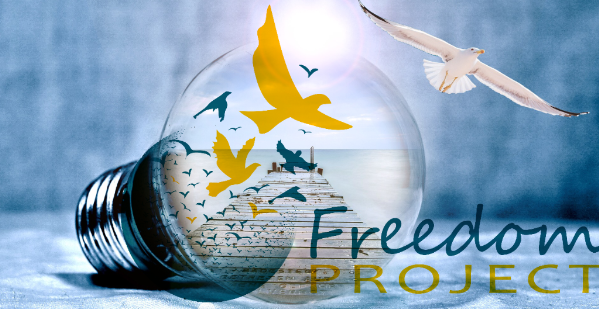 This orientation program will help you begin your journey with Freedom Project. Come and hear about the impact of Nonviolent Communication on people in prisons in Washington state. Get your questions answered about Freedom Project programs for prisoners and their families—both in prison and outside in the community. Experience a typical NVC exercise used in the prison classroom and decide how you may want to get involved!